The one thing BMW’s portfolio lacks right now is an entry level compact luxury sedan, an issue which the German car maker plans on addressing with the BMW 1-Series sedan pictured here. And it is obviously based on the 1-Series hatchback, right? Not really. This car is based on the same UKL platform as the 2-Series Active Tourer and the New Mini Cooper but has been named so keeping in line with BMW’s nomenclature of naming sedans with an odd number. So in short it has nothing to do with the 1-Series hatchback, not the current model at least. The production ready version of the BMW 1 Series sedan is expected to come out during the latter half of 2015 and we expect the car to hit Indian shores by early 2016. The only thing that the BMW 1 Series sedan and hatchback are expected to have in common is the engine, as the sedan will feature the same 1.6 litre turbocharged petrol that puts out 136 BHP and the 2.0 litre diesel producing 143 BHP. Both engines will be coupled with an 8-speed transmission. 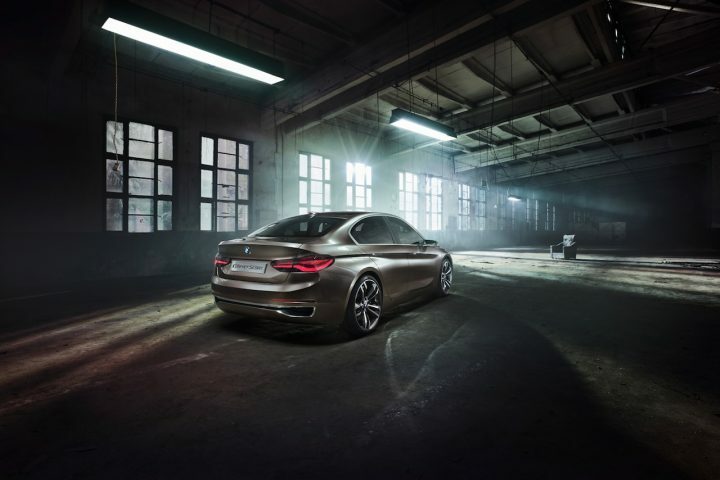 Again, the car uses a front wheel drive layout which is disappointing news for enthusiasts but then we expect BMW to ensure the sedan possesses great handling characteristics and driving dynamics. 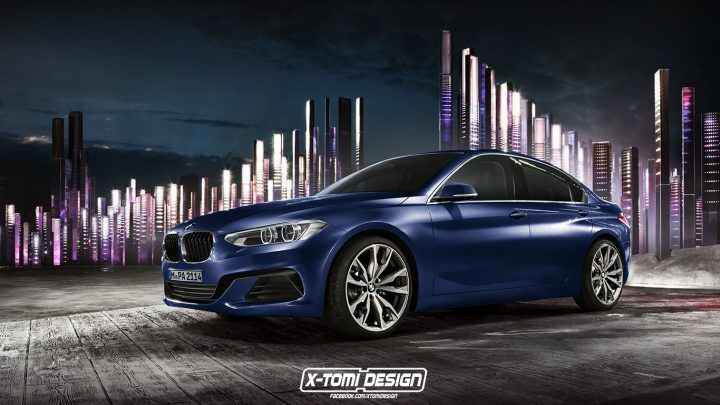 From whatever can be made out from the BMW 1 Series sedan spy images we’ve seen so far, it is clear that it is a very well proportioned design with a long bonnet, a comparatively short boot and a nice sloping roofline which it is a big achievement since the BMW 1 Series sedan is a front wheel drive car. Expect the usual design features such as the trademark BMW kidney grille flanked by projector headlamps, smart looking rear LED taillamps, etc. along with dual exhaust pipes and a shark fin antenna as seen in the pictures. The BMW 1 Series sedan is the German automobile giant’s answer to the Mercedes-Benz CLA and the Audi A3 sedans and we expect it to be priced similarly which will definitely make things interesting in the entry level compact luxury sedan segment. As mentioned earlier we will have to wait till early 2016 to get our hands on the BMW 1 Series sedan.